RushCard wants to make amends. 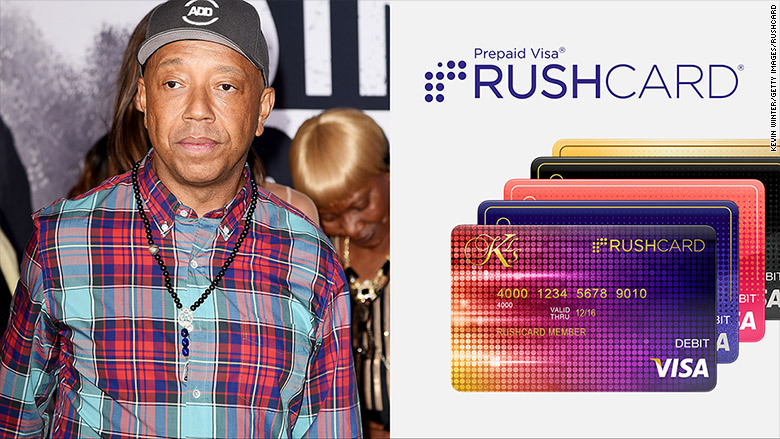 Russell Simmons' pre-paid debit card company is planning to reimburse customers who were affected when their accounts were frozen earlier this month due to a technical glitch. "RushCard and I continue to be completely committed to making sure each and every one of our customers is made whole," the hip-hop mogul said in a statement. "I will continue reaching out individually to as many of you as I can." The group will give money to customers who incurred costs and late fees while their money was unavailable. Some customers were unable to access their money for over a week. According to the statement, RushCard services have been "fully restored." RushCard charges customers various fees for its different services and also allows cardholders to access direct deposit funds two days before receiving their regular paychecks. Simmons offers the card through a partnership with MasterCard and MetaBank. He issued a statement via a Facebook video after the initial technical problem occurred. "I want to personally reassure you that your funds are safe and that we are addressing every issue as quickly as possible," Simmons said. "I deeply apologize for the hardship this is causing and give you my solemn commitment that we will fix these problems." Simmons is one of several celebrities to have endorsed a pre-paid card. Other big names have included Suze Orman, Magic Johnson, Justin Bieber and the Kardashians.